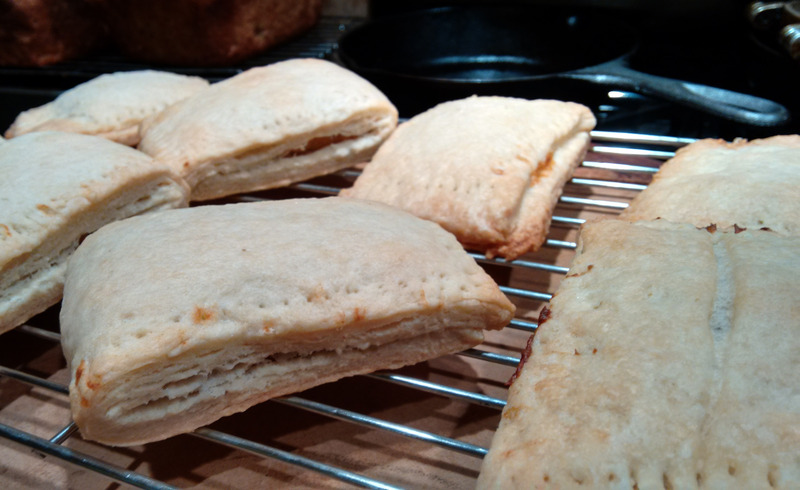 I wonder if my girls will remember making sweet potato hand pies with me when they grow up. 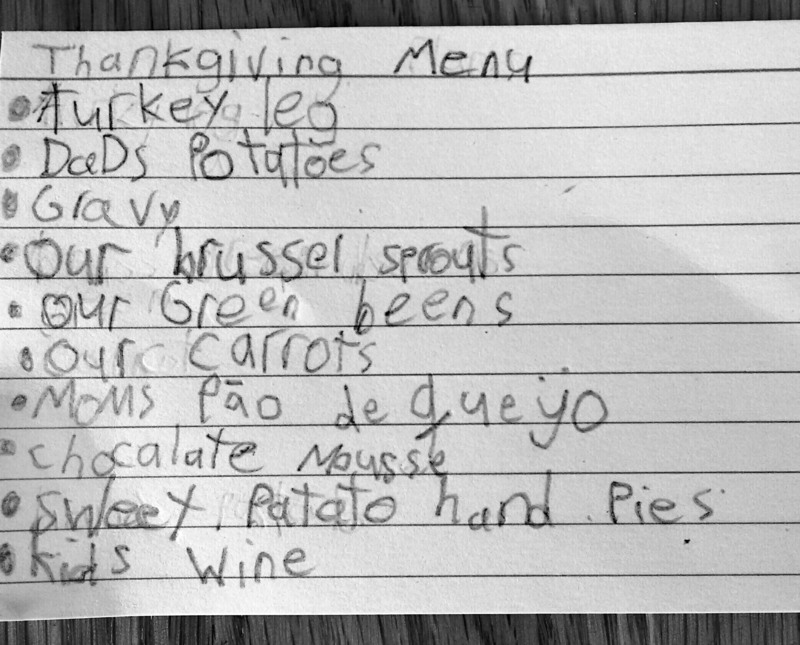 They wrote the Thanksgiving menu and made their requests. They remembered we had them last year. 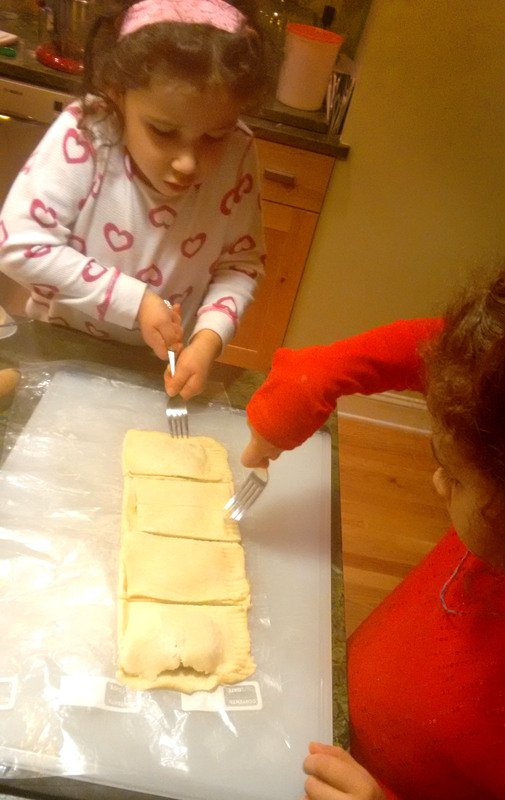 I love hand pies because it takes time to make; precious time in the kitchen with my girls. 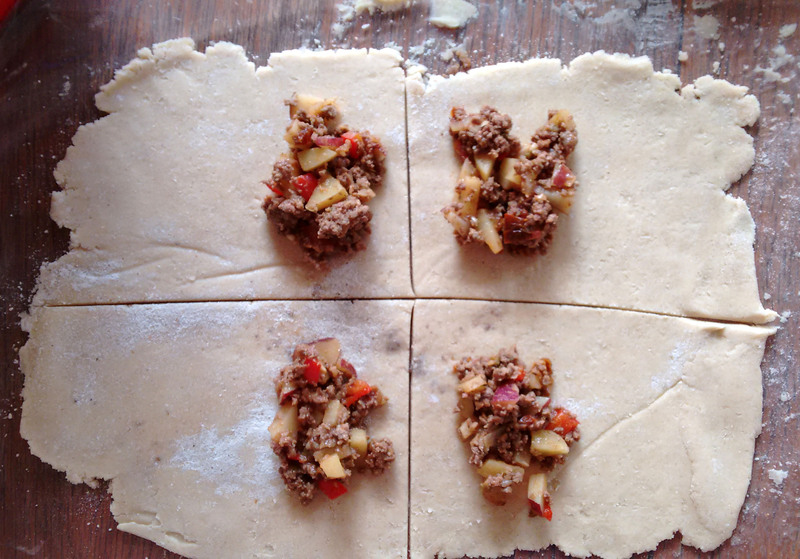 Making hand pies with them are a gift to me. I hope not to forget how their sleeves get caught in the dough and the sweet potato with doce de leche filling land in the floor as they negotiate spoons and forks. They stop to sing and dance. They run outside to eat snow and come back in arguing who gets the pies on the left or the ones on the right. 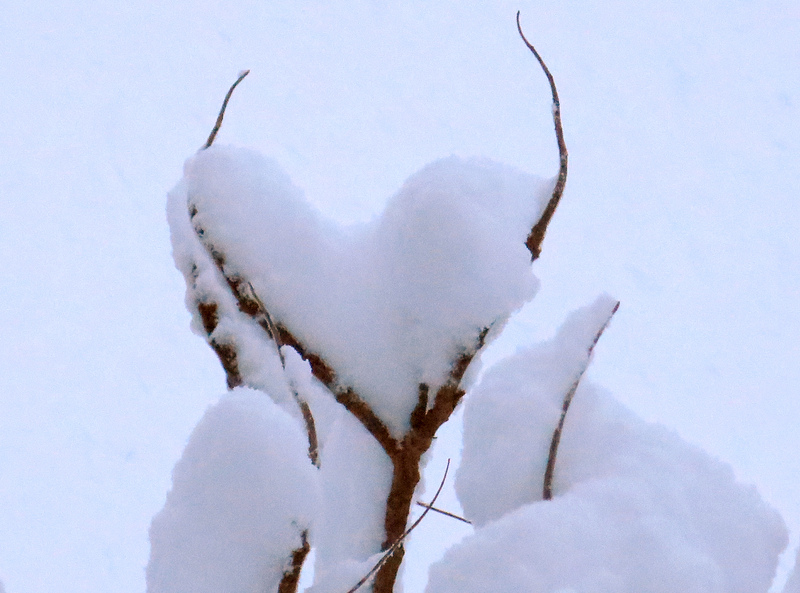 Outside, I spot a heart shape on a tree branch. The snow slows down the pace of the day and makes the kitchen warmer. Happy Thanksgiving. 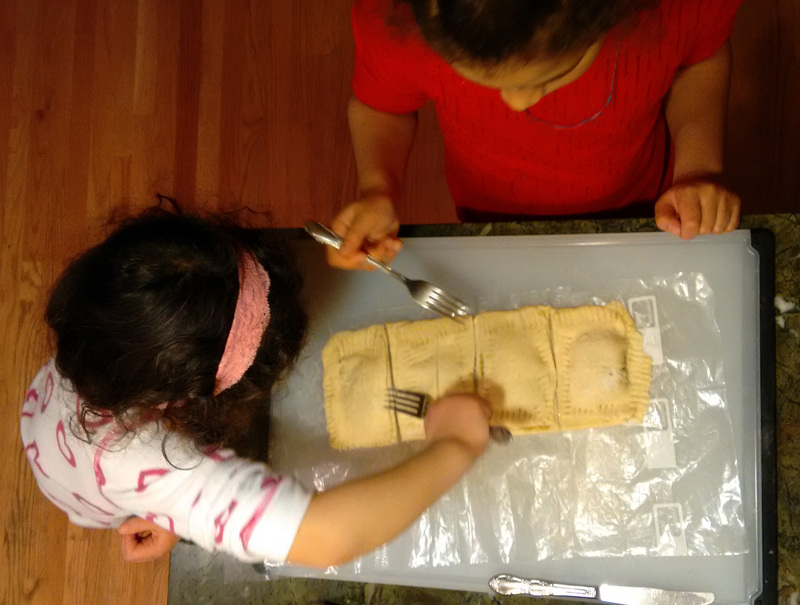 Today we used the pie crust recipe from ‘‘America’s Test Kitchen,’’ referred as ‘‘Foolproof Pie Dough.’’ We used only butter on ours and rolled and folded the dough several times. For the filling, I cooked sweet potatoes and mixed them with doce de leche. We baked on a 375 oven for 25-30 minutes or until golden. 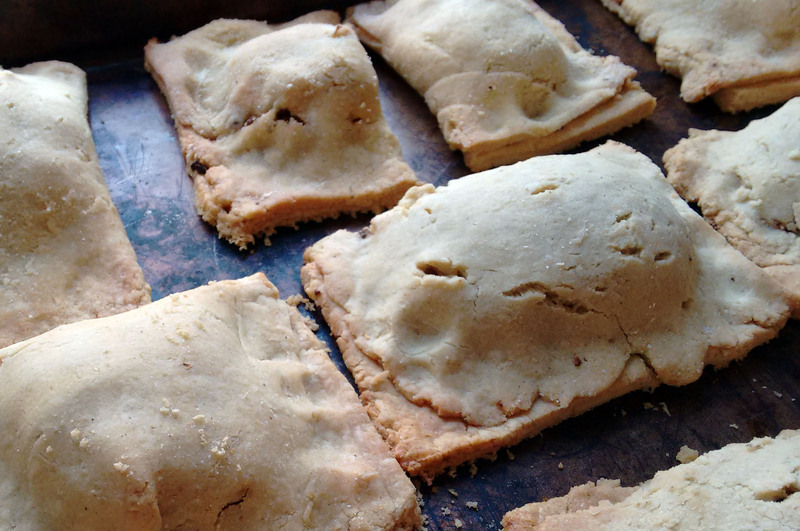 A week earlier, I made similar recipe, empanadas, but replaced the unbleached all-purpose flour with a mix of Bob’s Red Mill Glutten Free flour and masa harina and I was really happy with the flavor. We are not glutten free, but I am happy to make this with and for friends who are. 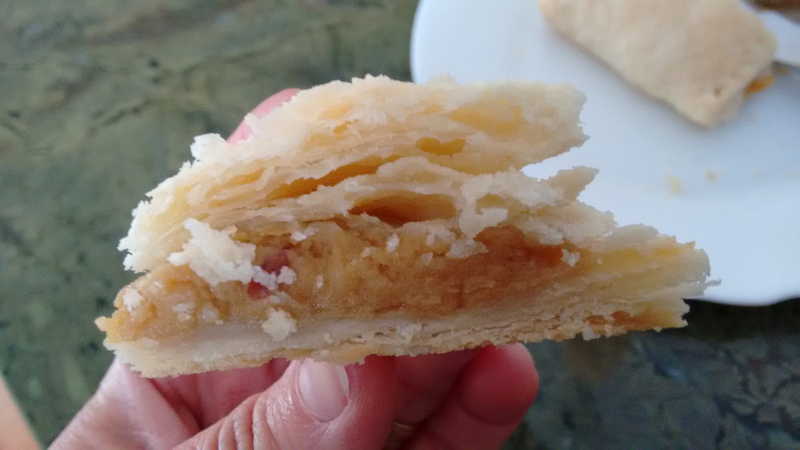 It tasted so good that I will use this recipe for savor empanadas again. 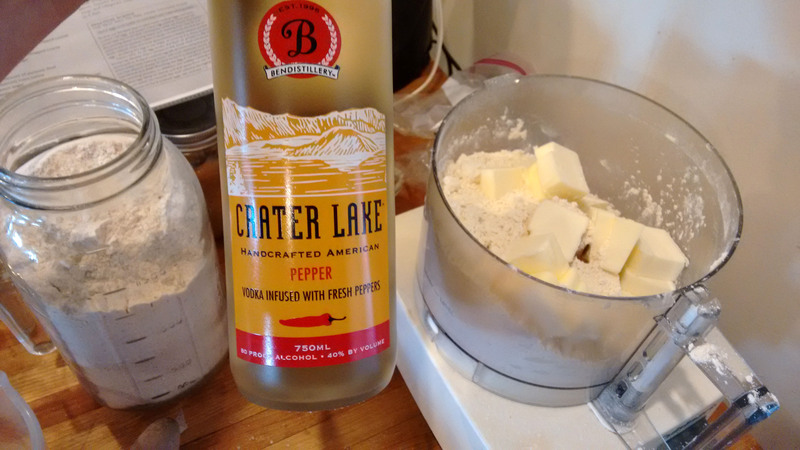 The flour base of GF mix is chickpea four and it tasted great with the masa and pepper vodka.